With our unique evidence-based program, participants achieve true rehabilitation, through the restoration of self-respect, and gain real-world skills they can use to improve their decision-making and reverse negative life habits. We have taught thousands of inmates and reentry individuals who have returned to their communities as more ethical and productive citizens. Yet there is still a tremendous amount to be done, including making reforms to the criminal justice system that support rehabilitation and correction. Your support is vitally needed. All donations are tax-deductible for US citizens. SELF-RESPECT and A NEW LIFE! The Criminon program provides justice-involved individuals with real-world skills they can use to improve their decision-making and reverse negative life habits in order to successfully navigate reentry into their families and communities. “I appreciate these classes – each week we learn – well, we be [sic] reminded about our main priorities in life. These classes restore the things that we lost when we clouded our heads with the unnecessary junk. “We must live life in a honest way, not directing people down the wrong path. Be true to yourself and you can’t help but to be true to others. “Today was a new way for me in learning how to “be worthy of trust.” For many years I’ve had the unpleasant experience in meeting unworthy people. “I can understand that being in a place like prison, but it has also continued while in society. But after being counseled by one of Criminon’s teachers, while using the booklet The Way to Happiness, I’ve learned a better way at how to trust people." “Since my introduction into this program, I have observed, listened to the various interactions of others and explanations on many topics and I’ve learned much. “Especially concerning RESPECT! Respect is what one must have for self in order to receive it from others. “I just sent a copy of The Way to Happiness home to my wife. We talk on the phone about what we read. “My New Life is going to be based on The Way to Happiness. I love it when Thursdays come. I know I’ll see my new friends and hear some real powerful words. 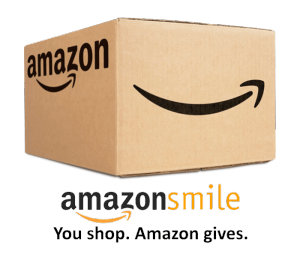 When you shop at smile.amazon.com select Criminon New Life DC as your charitable organization and Amazon will donate .05% of the price of your eligible AmazonSmile purchase. PayPal, credit card, debit card, check or money order.